Every negative emotion that we allow to enter and to dwell in our minds upsets our Emotional Stability. It depletes our vital energy, weakens our immune system, hampers our professional growth, and deprives us from experiencing our innermost core – our Higher Self, our Pure Consciousness, our Soul, our Atman or Being or True Reality which is the ocean of peace, harmony, love, compassion, contentment, confidence, strength and joy. Over a period of time, our negative reactions to people, life situations and challenges create mental stress, destroy our peace of mind and disrupt the natural flow of Prana or life force (in our Energy body or Pranamaya Kosha) to different body parts and organs. This disruption in the flow of Pranic energy is usually one of the important root causes of most chronic ailments. Many intellectually bright people in different fields of work have been unable to realize their full potential on account of lack of Emotional Stability. Many ordinary people have scaled great heights with the virtues of purity, patience and perseverance which define Emotional Stability. Once we become aware of the critical importance of our own Emotional Stability for living a peaceful, harmonious, purposeful, healthful and joyful life full of enthusiasm, love and compassion, we will naturally give our maximum attention to developing it and maintaining it under all circumstances. In fact Emotional Stability will become our first priority in life. Living in Emotional Stability is true self-empowerment. Without Emotional Stability we become slaves or puppets in the hands of people or situations. Our peace and harmony, our happiness, even our health becomes dependent on the words, actions, reactions of our relatives, friends, and colleagues at work. We start strengthening the wrong belief that our peace and happiness depends on our external circumstances defined by our wealth, position, professional success, social status, fame… This wrong belief is the root cause of our Ego. Even as healers (or spiritual aspirants) of any healing modality, we can, sometimes, due to lack of awareness, get caught in the ego trap of defining our identity as being great healers or great spiritual aspirants (sadhaks). Because of this false identification with the external we lose touch with our true eternal inner reality, our Soul, our Being, which is complete in itself (Poorna). We become beggars seeking peace, happiness, love, praise, respect, contentment from the world of objects and relationships. We forget that we ourselves are oceans of peace, love, wisdom, creativity, confidence, bliss… and also forget that our true self-esteem or self-respect can come only by honouring our inner connection with our Self, our Soul, with who we truly are. The peace, happiness and satisfaction we seek from the outside world are temporary, fickle, deceptive, and delusionary. They can never be lasting. This eternal Truth has been repeated again and again by all Spiritual Teachers. There is ample proof of its veracity in everyone’s life. But our Ego (Ahamkara) can be extremely stubborn. It wants to maintain its false identity because it is addicted to living in negativity or in Emotional instability It resists going inwards because it knows it will lose its individual separate existence if it merges with the Ocean of Oneness, peace, love and bliss within – our true immortal reality. Emotional Stability is a measure of our ability to live our lives, every moment, in peace, harmony, love and compassion, regardless of our life situations. It is an indicator of our capacity to respond to all challenges of life calmly with poise and with a positive, cheerful, confident attitude without any negative emotions like anger, lust, fear, guilt, greed, jealousy, hatred, impatience, arrogance, aggressiveness, nervousness. Challenges will keep coming up in our lives in our relationships, our health, business, profession, spiritual progress. The challenges could be small or big. The more our responses to situations are filled with negative emotions, the lower we are on the Emotional Stability Scale. The more we respond to situations, big or small, with equanimity, the higher we are on the Emotional Stability scale. Lack of Emotional stability can be one of the critical root causes of several ailments and societal problems. 1. Several chronic diseases like Asthma, Arthritis, Back problems Bronchitis, Cancers, Diabetes, Digestion disorders, Heart diseases, Hypertension, Kidney problems, Liver problems, Multiple Sclerosis, Parkinson, Skin problems, Sleep problems and a host of other disorders. 2. Strained relationships with people in the family, at work or within the community around us. 3. Lack of self-esteem, anxiety, fear, worry, depression, and a host of other mental problems. 4. All kinds of crimes including corruption, abuse and exploitation of women and children. 5. Religious strife, political turmoil, terrorism, and even wars between nations. 6. Inability to connect deeply with the divine within us , our Higher Self, our Soul and therefore getting deprived of experiencing the most precious treasures of infinite, peace, unconditional love and bliss, within each one of us. Inherently we are all emotionally stable beings because peace, harmony, love and bliss is our true God–gifted nature. However due to lack of awareness of this Truth of who we truly are, we allow negative emotions to pollute our minds. When this is done repeatedly it becomes our habit (samskara) and we start believing that a response based on negative emotions is the obvious and only response to all life situations where our false egoic identity is threatened. For example if someone abuses us, cheats us, talks ill of us, we believe our reaction of anger, hatred, condemnation or revenge is natural and fully justified. This negative reaction is of our ego which gets hurt and not of our true eternal Self, our Soul which is ever pure, peaceful, patient, contented, compassionate, forgiving. Through this self created erroneous belief that we are the tiny limited ego, we allow the poison of negativity to assume alarming levels in our minds. Over a period of time this poison of negative emotions becomes the root cause of all our sufferings at the physical, mental, emotional, financial, social and spiritual levels. Emotional Stability can come only from taking full responsibility of our own lives. The meaning of the word Responsibility, from a wholistic perspective, is the ability to respond to every challenge with our inherent values of peace, love, compassion and harmony. Every thought, feeling, word and deed that does not come from the sacred space of the wisdom of our true Self, our Soul, is irresponsible and hence fraught with harmful consequences. The truth is that even in the most challenging times we always have the choice and ability to respond with equanimity, confidence, clarity and compassion without letting the deadly virus of negative emotions enter our mind. With great humility and intense faith based on our humble understanding and experiences, we share below a few guidelines for regaining our emotional stability to heal ourselves and to stay in good physical, mental, emotional and spiritual health. Please accept these guidelines only if they appeal to your common sense. Some readers may already be aware of what is being shared below. They may treat this as a humble reminder to consider incorporating these guidelines in the their daily routine. All these guidelines have come from great Spiritual Teachers from time immemorial. We offer our profound gratitude to all of them and seek their blessings for the wholistic wellness of every being in the Lord’s creation. Ideally we should seriously experiment with some or all of the guidelines for at least a couple of months to evaluate their effectiveness for our self-healing and wholistic well being. 1 Every morning, remind yourself of who you truly are. In your daily morning meditation, intensify your faith in the eternal Truth that I am a pure Soul, with the infinite energy of peace, love, compassion, contentment, self-confidence, strength and joy. I am peace. I am love. I am bliss. I am wholeness, I am contentment. The body, mind and intellect that have been gifted to me by God in this life time are instruments for experiencing the beauty, glory and majesticity of the divinity within me and around me. My body is temporary. It had a birth and it is certain to die. I am eternal. I was never borne. I will never die. I am indestructible. All fears, anxieties, cravings and other negative emotions and all sufferings in my life are borne out of forgetfulness of my true fundamental eternal Reality of who I truly am. I am peace, I am love, I am bliss. If you are not doing any meditation, the affirmations given above can become your daily meditation. Every affirmation becomes more potent when it is repeated with intense faith. These affirmations, slowly but surely, negate our wrong belief that we are the body, mind, intellect and ego and reinforce the correct belief that we are the immortal infinite energy of peace, love and bliss, that we are pure Souls, pure Consciousness. 2 Remember that every other Being is also a divine immortal Soul like you; that intrinsically, at the core we are all One. Be fully aware that every other being in God’s creation is also a divine Soul (Divya Atmaswarupa) saturated with love, peace and bliss. At our very core, we are all the same divine energy of pure Consciousness, pure Soul. There is complete Oneness with every being at the spiritual level. The suffering that others are experiencing themselves or causing to others through their negative thoughts, feelings, words and actions, are also on account of their forgetfulness of who they truly are. They too have allowed negative emotions to pollute their minds. Instead send out a loving prayer from the depths of your heart for the spiritual healing and well being of the person. The cure for this disease is simple – Emotional Stability through purification of our inner Consciousness (Chit Shudhhi) from all negative emotions and through continuous Awareness and Remembrance of who we truly are. 3 Have faith in the law of Karma. It is perfect. Have faith in the law of Karma. It is perfect. The pain and suffering that we are going through today is a consequence of the suffering we have caused to someone in the past with our negative thoughts, feelings, words or actions. As soon as we wholeheartedly accept the Karmic truth that our suffering is completely on account of our own negative Karmas (in this life time or past lives) we will instantly feel an immense inner peace and strength. Up to now we were living in falsehood by blaming other people or circumstances or giving many other justifications for our physical, mental, emotional and financial suffering. The moment we accept and embrace the Truth that we and we alone are 100% responsible for our suffering because of our past Karmas, we open ourselves to the spiritual dimension within us which is the storehouse of immensely potent subtle healing energies. We transcend our egoic mind which was the root cause of emotional instability. All mental and emotional blockages that our Ego had created are instantly cleared. Our self-healing begins from within. Even people suffering from the most serious chronic diseases like arthritis, asthma, cancer and even auto immune disorders like Multiple Sclerosis will also experience a deep inner peace. Their inner spiritual strength, wisdom and healing power will get awakened. This awakening will hasten the healing process already happening through whichever treatment they may be going through, be it Allopathy, Homeopathy, Ayurveda, Yunani, Tibetan medicine, Chinese medicine or any of the energy healing systems. People going through emotional turmoil due to strained relationships or financial challenges, will see improvements on the relationship front and good opportunities coming their way for their financial and professional progress. We create blockages in our lives by forgetting who we truly are. We alone can clear these blockages through awakening to our True Reality. It is important to remember that our thoughts and feelings are the Karmic raw material with which we create our destiny. Positive Karmas are thoughts and feelings of peace, love, compassion, helpfulness, patience, forgiveness, gratitude, Oneness. These virtuous thoughts and feelings will certainly bring forth peace and happiness in our lives in the present and the future. Negative thoughts of anger, jealousy, hatred, greed, guilt etc will result in stress, frustration, lack of peace, emptiness. These poisonous thoughts and feelings will become the seeds for our future suffering besides destroying our present moment joy, peace and harmony. The law of Karma is not based on rocket science. It is simple. We reap what we sow Everyone can understand the law and experience its perfection every day if one is aware and if one is ready to let go of one’s ego. It is therefore vital that we must be extremely vigilant of all our thoughts and feelings for regaining our Emotional Stability. All spiritual practices like Mantra chanting (japa), Meditation (dhyana), Prayers, reading the Scriptures (Svadhayaya), Selfless Service (Seva), Pilgrimages (Teertha Yatras), Charity (Danam)… are meant for purifying our consciousness for experiencing our eternal Self. If we are aware of this ultimate goal of every spiritual practice we would benefit immensely more in all our spiritual endeavours. When we begin to live in the awareness of our Soul, we stop creating new negative Karmas. The fruits of our past negative Karmas will of course manifest as challenges in our lives (prarabdha) but we will now be able to respond to these challenges with peace, love, patience, tolerance and compassion. No new negative Karmas will be created. Our Consciousness gets purified. The Karmic cycle of hurt – revenge –hurt – revenge that we have been caught in for many life times, will come to an end and we will be liberated from all suffering through our permanent connection with our Soul, with who we truly are. This is the essence of Enlightenment (Moksha) – freedom from all suffering by living in the light of our True eternal Reality, our pure Consciousness, our Soul. This is spiritual wisdom or Atma gyana. “Some people say that they have not received any benefit in spite of chanting the Divine name for twenty to thirty years. No benefit accrues from chanting the Divine name if the mind is filled with impurities. First purify your mind and fill it with positive feelings. Only then you can experience the benefit of chanting the Divine name. Bad thoughts and bad feelings will not help you in any way. Even if you happen to come across anything bad, do not let it enter your mind. The attitude of forbearance (Titiksha) refuses to be affected or pained when afflicted with sorrow, loss, or ingratitude and wickedness of others. In fact, you must remain calm, and bear all blows patiently and gladly, without any form of retaliation, for these are results of your own past actions. The natural reactions of people, when someone injures them are to hurt them in return, that is, return harm and insult to those who harm them and insult them. These are characteristics of the worldly path (pravritti). Those who seek the inner path of sublimation and purification (nivritti) must desist from such reactions. For, if you choose to return injury for evil, you are only adding to your own karmic burden! Paying evil with evil may confer immediate relief and contentment, but will never lighten the weight of karma. Forbearance, therefore, requires people to do good even to those who injure them. Every time we think ill or talk ill of others’ negative traits, or negative actions, we are polluting our own consciousness. This habit can become addictive as it gives us a lot of pleasure (Ninda ras) at someone else’s misfortune. If not checked, it can also become one of the most self-destructive habits from the spiritual perspective. It strengthens our ego but weakens us physically, emotionally, morally and spiritually. If we truly want to live in Emotional Stability, we have to drop this habit completely. It is not difficult to do so when you realize how poisonous it is. All you need to do is to stay alert. In a gathering if others are indulging in scandal mongering, be careful not to get caught in it. Instead quietly send healing vibrations of love and peace to the person who is being condemned and also to every member in the group indulging in gossip. Being connected to our true peaceful, joyful Soul, the divine within us, means to follow the Mantra Love all, serve all; Help ever, hurt never. How can we serve those who in their unconsciousness or forgetfulness of who they are have committed or are committing some wrong? The Answer from the spiritual perspective is: through our compassion and forgiveness and through our fervent prayers to God for their wholistic well being. 5 Become extremely aware of negativity within yourself. We are all experts at finding or noticing faults in others. That is another important root cause of our sufferings. For developing our Emotional Stability we need to start looking within ourselves to root out the negativity within us. When we have purified our own consciousness, we will truly cease to focus on others faults and instead look only on their positive qualities. Start watching your own reactions to people and to situations continuously 24/7, even in simple things. For example if you get irritated or angry on people mindlessly honking in traffic jams, become very aware. Next time a negative reaction comes up, lovingly remind yourself of who you truly are, and send out prayers for the well being of the person. Remember a person who is honking mindlessly is either spiritually sick or is in a genuine emergency. In either case our response should be of compassionate help and not condemnation or irritation or anger. Remind yourself that all your negative emotions or habits (samskaras) are also symptoms of your own Spiritual disease called Ignorance of who you truly are. And you alone can heal yourself of this most serious ailment through constant awareness of who you truly are. Prayers offered with intense faith can move mountains! Start the day with fervent heartfelt prayers for the physical, mental, emotional, financial and spiritual wellbeing of your parents and every other member of your family, all your relatives and friends, all your neighbors, everyone in your office. Make sure not to forget those with whom you have strained relationships. Of course we must include in our daily prayers the well being of people who do the most difficult tasks for our comfort and safety - all the household helpers, the cooks, the gardeners, the watchmen, the cleaning and garbage collection people. Mentally express gratitude to all of them every day. Let your consciousness expand to include every one you see and meet during the day. Whenever passing by a hospital, spontaneously pray to the Lord for the well being of every patient in the hospital. Finally allow your consciousness to expand to include in your prayers every being in your town, country and the whole world. The blessings and prayers of compassion, love, peace, joy and gratitude that emanate from us for others, come back to us multiplied manifold as positive healing and protective vibrations for our own well being. Our consciousness gets purified. We strengthen our Emotional Stability. 7 Seek forgiveness every day from those you may have hurt. This is one of the most important practices which when done with sincerity and regularity, will always yield positive results in a short time. Please do try it for a month if you are going through a minor or major crisis in your life. At least once a day, preferably every morning, from the depths of your heart, prayerfully seek forgiveness from God, the Omnipotent, Omniscient and Omnipresent One, for all the hurt or suffering you have caused to people through your thoughts, feelings, words or actions, knowingly or unknowingly, in this life or past lives. If we honestly go back in our lives from childhood to present, we can easily recall the people we have hurt through our thoughts, feelings, words and actions. It could be members of our family, our friends, relatives, colleagues, neighbours, acquaintances… It could also be souls of people who have already departed to meet their Maker. In the spiritual dimension, our connection with every soul is eternal. Visualise them in your mind and mentally seek forgiveness from them from the depths of your heart for the suffering you had caused to them. Pray to the Lord for their and their family’s wholistic well being. Three to five minutes of this practice is recommended on a daily basis. At any time, If you are feeling extremely overwhelmed by the suffering you are experiencing due to challenges of life, you can spend about 5 to 7 minutes on this practice to experience positive changes in your life. Remember all suffering is the consequence of our past negative Karmas. By sincerely seeking forgiveness consciously from people we have hurt knowingly or unknowingly, we reduce the Karmic load of our negative Karmas. This helps us to connect more deeply to our Soul which empowers us with more spiritual strength and wisdom to sail through with equanimity any stormy times that may come our way because of our destiny (Prarabdha) created by us through our past negative Karmas. The Srimad Bhagavad Gita, an ancient Indian Spiritual Text with eternally relevant universal teachings (which reveal to all mankind the secrets of living in peace, harmony and bliss) refers to an Emotionally Stable person as The Sthitaprajna or the Equipoised One. Verse 13 of Chapter 12 of the Bhagawad Geeta lists out some of the virtues of The Sthitaprajna as a person who is ever content, ever in control over his senses and mind and ever in peace. He who hates no being, who is friendly and compassionate to all, who is free from the egoistic feeling of I and Mine, even-minded in pain and pleasure and ever forgiving. It is not enough to be free from jealousy and hatred towards all. Even stones have no hatred towards any one. To be Emotionally Stable we also have to be friendly, compassionate and forgiving towards every being. All the virtues listed in the above verse are the attributes of our true Self, our Soul. Emotional Stability is the key to Self-reformation and Self-healing. When our Consciousness is transformed (purified of all negativity) we begin to live in Emotional Stability. Our very being will continuously radiate peace, love and bliss from within - the most potent forces for healing ourselves and the world. "Prayers can move mountains" is a teaching which is common to all religions. Saints, sages and seers have boldly made this assertion since aeons - but how many of us truly believe it? If prayers are sincere and built on faith, mountains DO move. This has been our experience at the Sai Sanjeevini Foundation. A fervent and ardent prayer went out from us to the Lord seeking a way of healing naturally, simply, effectively, inexpensively, quickly - a very big mountain - we might say! But the mountain moved! Sai the Ever Compassionate Divine Mother answered our prayer by revealing the knowledge of the Sanjeevinis. Six short months ago the SS- Sanjeevinis were introduced to healers. Since then healers have "grown" by leaps and bounds - both in numbers and in scope. We have been overwhelmed by the response from healers. Most certainly, we were not the only ones praying! Bhaktas (Lovers) of the Lord all over the world, motivated by an intense desire to serve His Creation as part of their Sadhana(spiritual practice), were praying for a simple way to alleviate suffering. The Sanjeevinis are obviously an answer to their prayers. They "fit the bill" beautifully! With the Lord's Grace, the system has evolved in its simplicity - becoming easier to use and easier to reach the masses. Initially, the Sanjeevini remedies were "prepared" in a wooden Fragranciser, and now our cup of joy really brims over because we have moved into the book form of the kit - which makes it easier for the system to reach far and wide at a fraction of the original cost. In the last six months a great deal of knowledge has flowed to us through the experience of healers using the SS - Sanjeevinis all over the world. This has resulted in many new Sanjeevinis being included in the system - 54 Sanjeevinis were added in April '95 and twelve later. Coming back to prayers - if prayers can move mountains - surely they can heal! 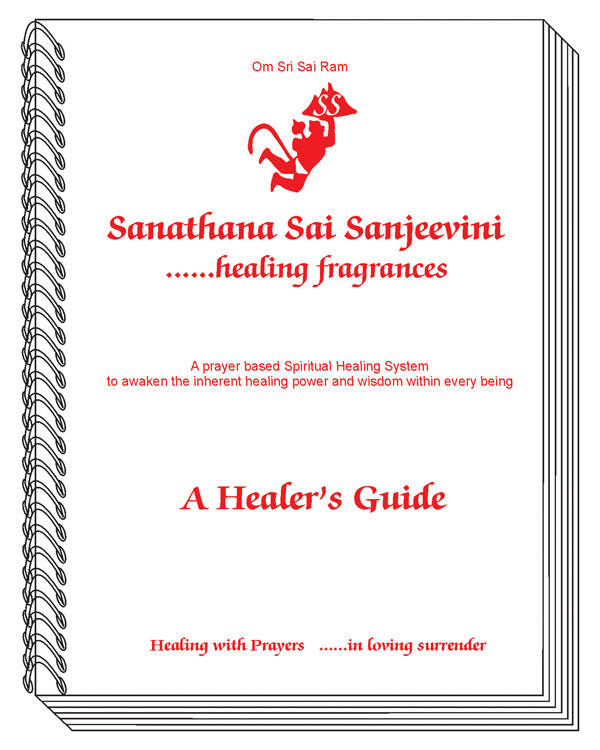 As healers from all over the world, from all faiths and religions, are telling us - the results with the Sanjeevinis are often "astonishing", "amazing", "instantaneous", "miraculous". And, often, the sick person has not even taken the Sanjeevini orally - just keeping a photocopy of the relevant Sanjeevinis under the pillow has worked; "thinking" of the Sanjeevinis has worked; holding the bottle in the hand has worked. The Sanjeevinis are prayers - highly focussed prayers - how they work defies explanation at the physical level. The healers know that it is not "they" - it is the Lord Who is healing. a spirit of surrender on the part of the healer instantly opens up channels of God's Love. God's Love knows no limitations. It knows no bounds - when we understand this then we will recognise the Sanjeevinis in their true form - they are a Gift of Love - from the Lord. Each day has been a "miracle" at SSF - people phoning in and writing their experiences - all brimming over with the joy of having discovered that "yes, prayers CAN move mountains!". Anyone can Use the Sanjeevinis!